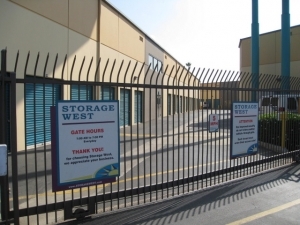 Self Storage - Anaheim is a clean, well maintained and secure self storage facility in Anaheim, CA. 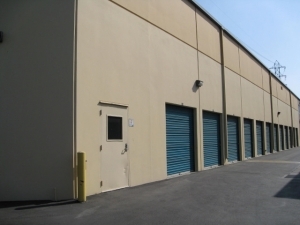 Our facility has a wide variety of features and amenities including computerized gate access, video surveillance and moving and packing supplies sold on-site. We are easily accessible from I-5! Clean place, the price is fair as well. Easy process and best deal around. We found the best deal through sparefoot. The process couldnât have been easier. Thank you! Loved the fact that they provide a free moving truck. Everyone there is super helpful! They have a truck to help you move in that is free and was a godsend. Friendly manager nice facility lots to like . Bent over backwards to help us use their facility with same day service when we needed emergency storage. Quick and friendly service. Had my unit in very smooth and timely manner. Good price, great service, and facility is very clean. Easy move-in, unit seems safe and clean. Everything was as described. The unit seems safe and clean, and the staff was extremely helpful and explained things well. Maybe not the cheapest, but so far so good. The management is wonderful and the facilities are clean! The price is good, especially with the moving truck on your first day! 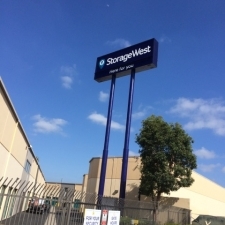 We were searching affordable storage units in Anaheim and found this unit on SpareFoot.com and called to reserve the unit. The day before we were scheduled to move in, we had to make some last minute changes. Sandy, the manager, was extremely friendly and helpful and super accommodating and willing to work with our situation. This storage is awesome and affordable! Went in to rent a storage unit the couple working there were very nice and helped me choose a unit perfect in size . Good except it cost more for a larger storage. Customer service was outstanding and the storage was ok, not the price I was hoping for no free month, might move my things next month. To a cheaper place, I was in a hurry. A little expensive but worth it. The couple that run the place are great! Very nice and helpful. Service is great and truck rental was very helpful. Anaheim site. Loved my experience with people who work there and the use of the moving truck. Thanks! I called about 5 days ago to secure this unit and to reserve the free move-in truck (thinking it might not be possible, because it was so last minute), but I was quickly accommodated with great prices and customer service. Yesterday was move in day, and I have to say it was the easiest move I've ever done (I move ALOT)! The truck was easy and reliable to use, the return was simple and quick. The facility is well maintained and we had the ability to use a lift and flat dolly's on the premises to make our move a lot easier! 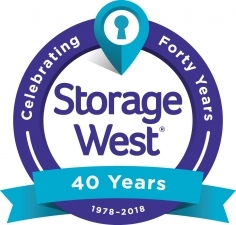 I have stored my belongings at a few other facilities and I must say, so far I am already happier with Storage West! I had a great experience, I was treated very well, and also felt welcomed.